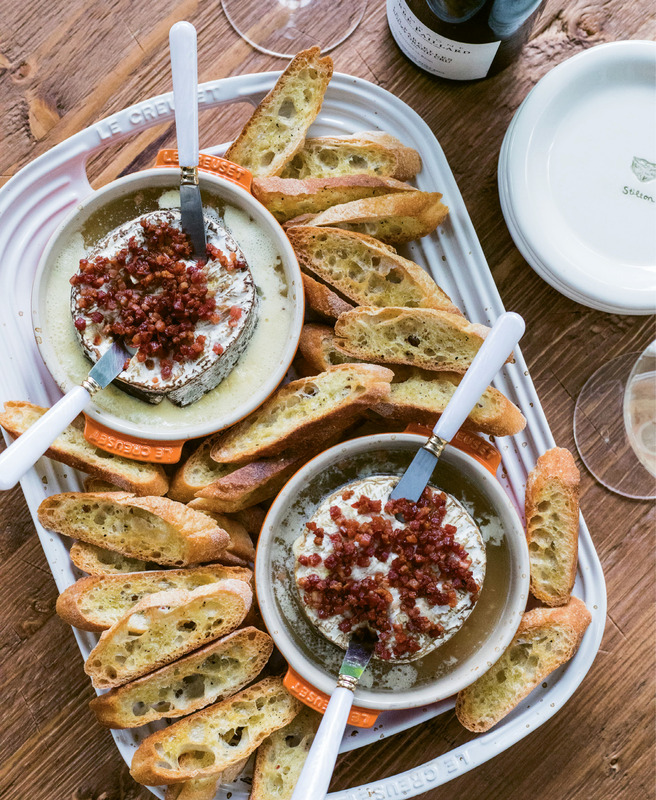 Cheese, Please - Luscious Rush Creek Reserve gets baked with garlic, sautéed pancetta, and a splash of Champagne for an irresistible appetizer served with toasted baguettes. 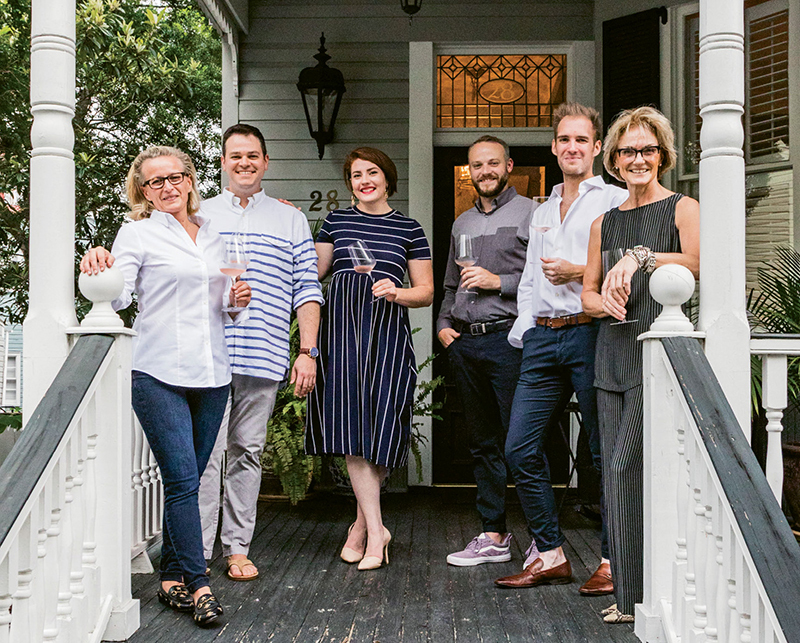 Before dinner, Trudi Wagner (far left) and Patty Floersheimer (far right) greet guests with glasses of rosé on the porch of their downtown home. A soft cow’s milk cheese wrapped in spruce bark, Rush Creek Reserve is extra indulgent when baked with garlic and savory pancetta. If the cheese isn’t available (its typical season is November through December), Jasper Hill Farm’s Harbison, produced in Vermont, will also work. Leftover lamb tastes great in sandwiches with mayo and toasted onion bread. 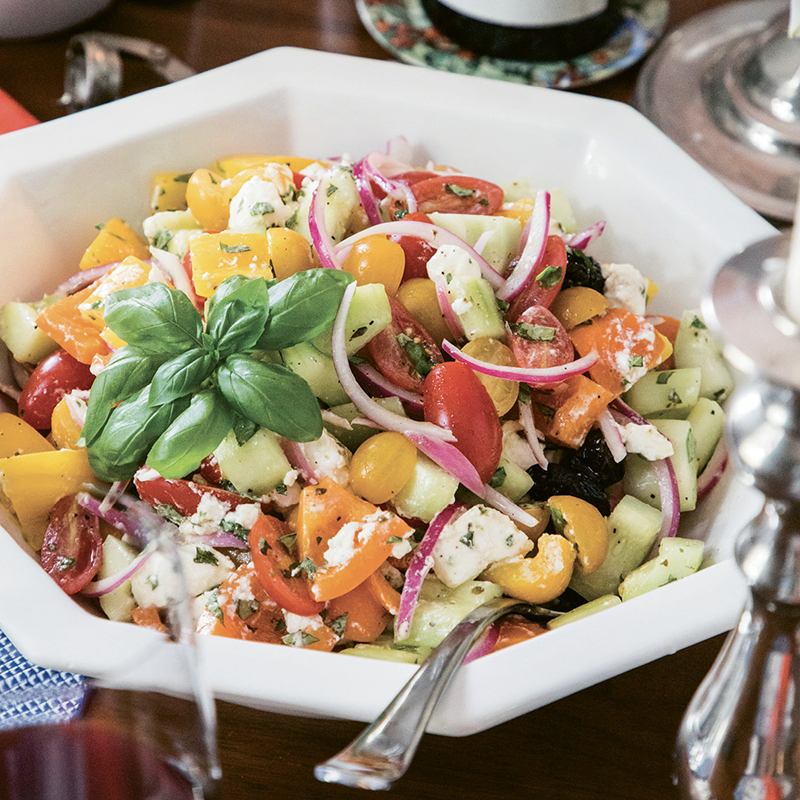 The ladies toss Greek salad with marinated Meredith Dairy feta (which they call “crack cheese” for its addictive nature), an Australian product packaged in olive oil and herbs. Friends raise glasses of wine around the candlelit table while Wagner gives a toast. Wagner suggests pairing the dessert with Cerdon du Bugey, a sweet bubbly from Domaine Renardat-Fâche. “It goes perfectly with berries or chocolate,” she notes. On this particular September evening, the goat.sheep.cow. owners have invited several coworkers for a relaxed get-together. “We try really hard to hire people who we wouldn’t mind sitting next to at a dinner party,” says Floersheimer. 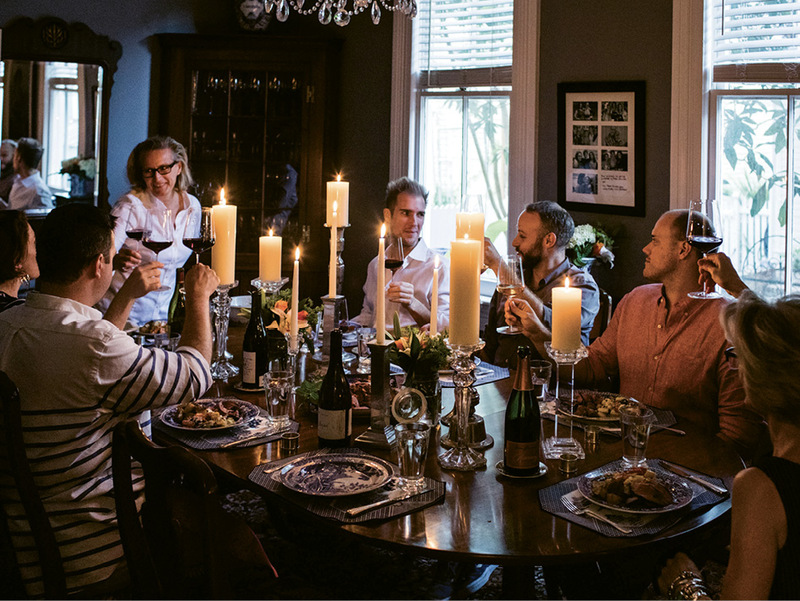 After guests arrive, the group congregates in the kitchen to open bottles of wine and visit while finishing touches are placed on the meal. The hostesses, who began cooking together some 12 years ago in New Jersey, agree that life is too short to eat bad food or drink bad wine. “Back then, you had to go into New York for good cheese,” recalls Floersheimer. 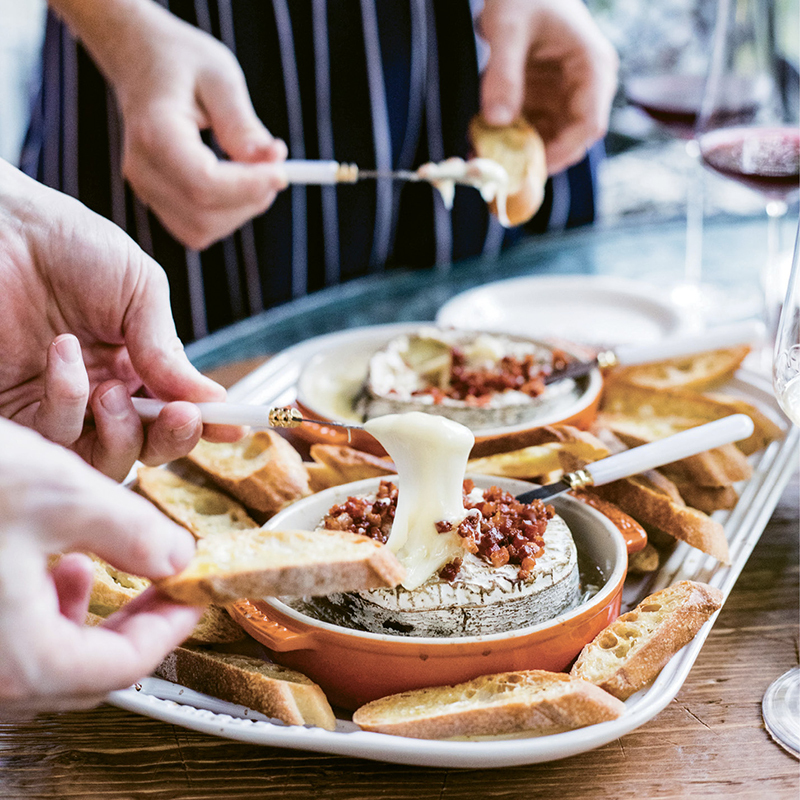 Lucky for the Lowcountry, over the past seven years, the duo’s fromagerie has provided us with a thoughtful selection of international cheeses and charcuterie. The dinner begins with an appetizer made from a young cow’s milk cheese that’s wrapped in spruce bark to impart a rich, woodsy flavor. The ladies opt for Rush Creek Reserve from Wisconsin’s Uplands Cheese, a maker who ages the raw product for the legally required 60 days without losing its soft character. Studded with garlic, topped with pan-fried pancetta, and splashed with Champagne before being baked in the oven, the creamy, custard-like starter is ideal for dipping crunchy baguette slices. 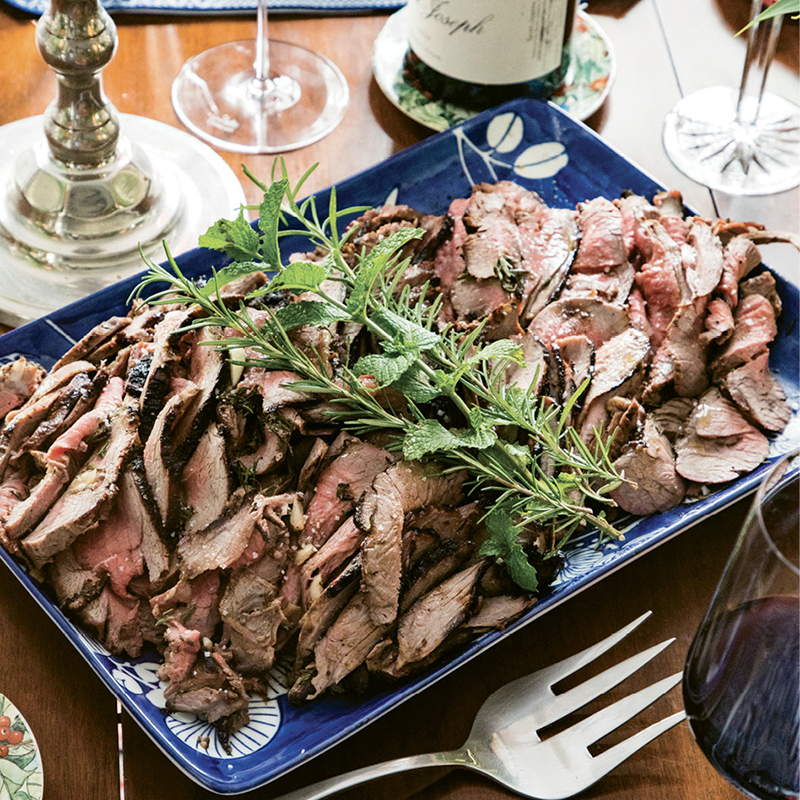 While guests snack and mingle, a seasoned butterflied leg of lamb glistens on the grill in the petite backyard. To pair with the main dish—which was made with a recipe adapted from Mario Batali’s Italian Grill (HarperCollins, 2008)—Wagner reccomends 2014 Julien Cecillon Saint-Joseph or 2015 Jolie-Laide Halcon Vineyard syrah, because their “smoky, gamey, herby, and black pepper notes go hand in hand with grilled meats,” she says. Rounding out the meal is a fresh Greek salad bursting with the sweetest tomatoes available (usually cherry and grape tomatoes in the cooler months), cucumbers, onions, peppers, olives, and a marinated goat- and sheep-milk feta that the ladies have nicknamed “crack cheese.” “We appologize in advance for getting you hooked on this cheese,” Floersheimer quips. 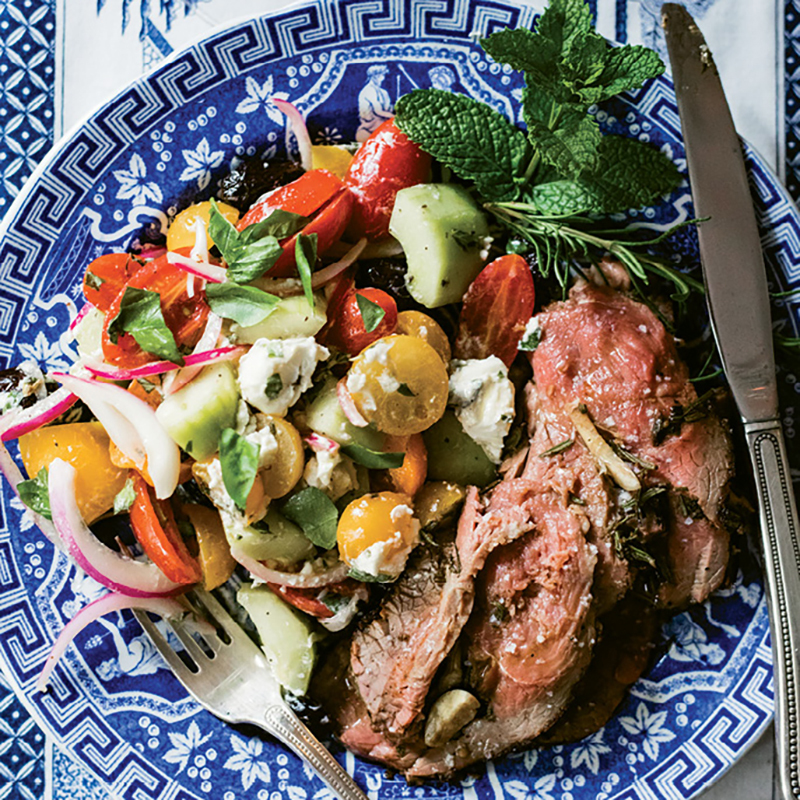 The feta and veggies get tossed with the other ingredients to create an effortless side. 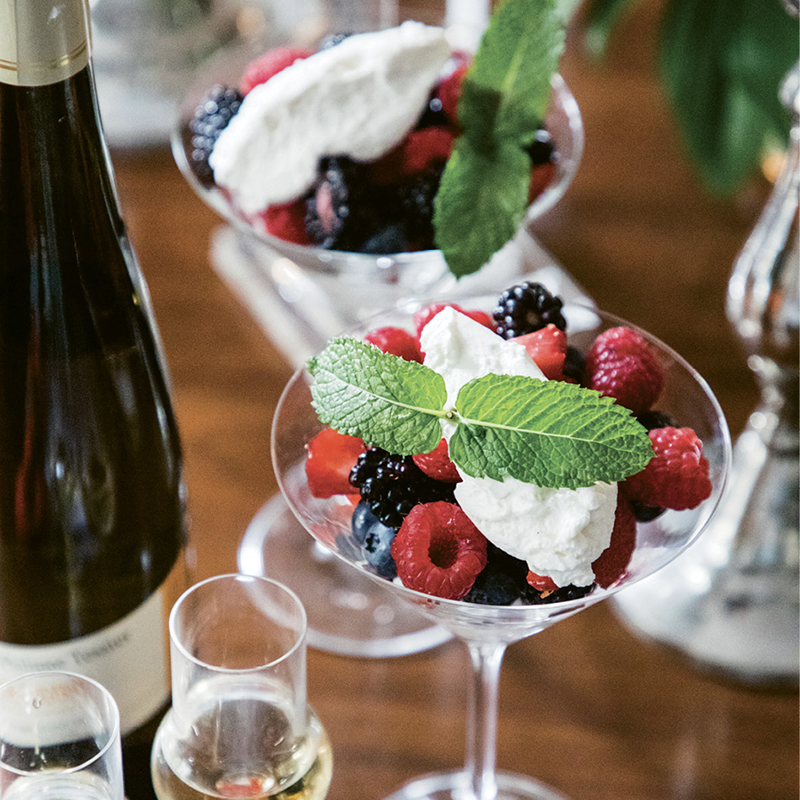 For a sweet finish, diners indulge in a simple dessert of juicy berries dolloped with homemade vanilla-bean whipped cream that’s spiked with Grand Marnier. The dish is served with glasses of low-alcohol sparkling wine that’s refreshingly clean and has a hint of sweet raspberry.